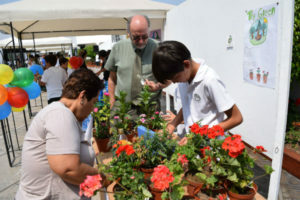 Three PYP students at Newton College, Lima, Perú, decided to make a better environment for future generations by starting up a company that sells plants and trees to increase oxygen in the atmosphere and reduce CO2. 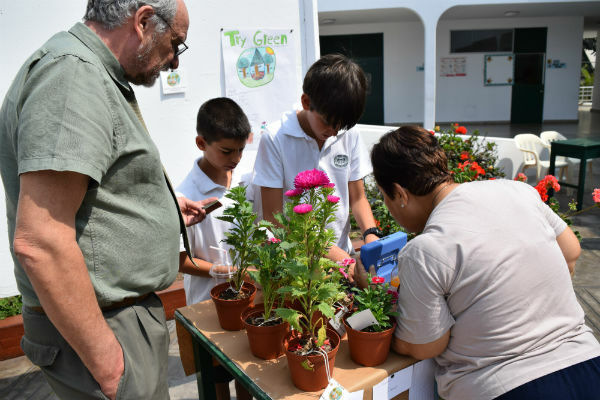 Students Claudio, Esteban and Vasco created ‘Try Green’, which encourages the community to live sustainably. It all started as a PYP exhibition project. Students were working on their inquiries under the transdisciplinary theme ‘sharing the planet’. The central idea of the unit was that ‘organisations have responsibilities to sustain the future of the planet’. The students inquired into the impact of deforestation, contamination and loss of bio-diversity in Perú and globally, and interviewed a range of sustainability experts and business owners. Claudio, Esteban and Vasco developed a business model for Try Green and sold decorative trees and plants at the PYP Exhibition Action Fair. They raised USD$200 and used their profits to buy trees for the school community. Students investigated the trees and plants that grow in the area and decided to buy and plant mango and avocado trees. These trees now feed the school community. Students are now considering selling the fruits to raise more money to plant more trees. Deputy Head of Lower School and PYP Coordinator Kathryn Rymarz said students displayed all of the IB Learner Profile attributes.